I am so happy to have found your website and think what you are doing to help others is truly an amazing and generous thing. I live in Canada and having access to my surgeon outside of office or clinic just isn't something we get. Having said that I turned to Google and came across your site. I am a 43 year old mom and EMT. A very busy, active person typically. On April 7/14 (3 weeks ago) I had a peroneal tendon repair/ transfer . My first post op visit was a week ago, April 22/14. My surgeon said the incision looked good and explained what he found and did during the surgery. My brevis tendon was more then 50% torn so he removed over 50% of the tendon, repaired the rest and attached it to the longus tendon. Post op instructions were to be on strict bed rest elevating my leg for the first 2 wks....which I complied with religiously. I expected to be allowed to start walking on it with crutches and that I would be placed in an Aircast at the 2 wk mark. I was very wrong. I was placed in a fiberglass cast on April 22 and instructed to not put any weight on my leg for another 3 weeks which takes me toMay 13 when I have my 2nd post op appt. Disappointing as that was I got over it and have been relatively compliant with the exception of putting my foot on the ground for balance. Dr Blake's comment: Common post op protocol for this type of procedure is 1-2 weeks compression dressings non weight bearing with splint, then 3 weeks more non weight bearing in fiberglass cast, then 4 weeks in a removable cast with crutches (to advance to full weight bearing), and then 3-6 weeks in an Aircast Brace to gradually return to walking without the boot. 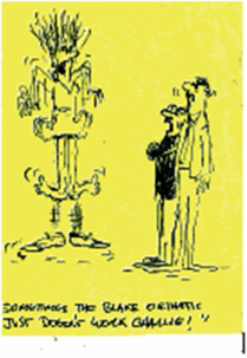 I think you were not advised correctly, but you are being treated correctly from this stand point. My question is.....24 hrs after the cast went on I experienced an increase in pain and the top of my foot at the base of my toes had a significant increase in bruising that extends the width of my foot and into my big toe. from edge of cast to toes is purple, black and blue and 2 days ago started experiencing an ache in my calf and it feels like the cast is tighter in the calf and top of foot. I'm still elevating my leg majority of the day and still sleeping with it elevated. Is this normal? Dr Blake's comment: No, the cast is too tight. Please have removed ASAP and a looser more padded cast reapplied!!!! I'm a surgery resident from Finland and I have a problem with my foot, for a little over two months now. I'm writing to you because it seems I can't get adequate advice here. I would be extremely happy with any insight. I realize though that there are tons of people writing to you every week. But if you decide you could spare me a few minutes, here is my story. I'm 33 years old woman, and I love sports, especially road cycling. During winter it's not possible here, so I had a trainer with my (older) road cycle on it and rode it with clip-less pedals as usual, with the road cycling shoes I've had for a few years and ridden thousands of kilometres without any problems. Well, I did a few sessions that were a little harder and then one morning after a session I had pain in my right foot, right under the 1st MTP joint. I didn't think a lot about it, the pain subsided during the day and I forgot it. But the next morning I woke up in pain. I then began to worry and read my books and googled, and it sounded like sesamoiditis, with pain when dorsi-flexing or plantar-flexing the toe. I changed to a hard sole shoe (hiking shoe) and when I got to work, I taped my big toe and added cushioning to my shoe (shaped to unload the sesamoids). Also I iced (2-3 times per day) the area and took ibuprofein and rested. My foot did not improve and a week later I took an x-ray, which was perfectly normal, no bipartite sesamoid or anything. Then I went to see a sports surgeon, who confirmed my diagnosis, the fibular (lateral) sesamoid seemed inflamed. He recommended orthotics for my shoes and physiotherapy. He suggested it was because when I cycle hard, I curl my toes and had overworked the sesamoids by doing this, with indoor cycling there are no natural pauses like there are when cycling outside. I went and bought Sidas insoles (I have a high foot arch), which made my foot stop hurting while walking in just a few days. I went full-weight bearing the whole time, no crutches, and I also have been working the whole time. The foot-specialized physical therapeut I got to see a few weeks later, he examined my foot, and said that my 1st metatarsal-tarsal ray was lower and more mobile than on the other side and did not work as normal, like when dorsiflexing my ankle, the big toe lagged behind compared to all other toes. I got exercises to correct this as well as new custom orthotics, that support the arch and try to raise the 1st metatarsal ray upwards. Both the sports doctor and the therapeut said I could cycle with the orthotics if I wanted to. I still iced the area, did all my exercises and got a few new ones to correct the alignment of my whole leg - I seem to have my whole right foot pointing naturally slightly out. Most days the foot was quite ok, did not hurt much at all and I was able to walk normally. I went to a congress a few weeks ago, where I had to stand up and walk a lot during the day, and the toe became worse. I treated with ice and rest, and the pain subsided again. I started aqua-jogging to do SOMETHING (I love sports), and I've continued to go to the gym the whole time. Last week I had a good week with only a few stings of pain, and really felt I was getting better. Last weekend I was able to go cycling for a short, 10-mile ride, which did not really hurt (just felt the stupid foot being there) during or afterwards. Also I use kinesiotape, my therapeut showed me how, to "rise" up the 1st metatarsal ray (taping from under the 3rd metatarsal joint, then the tape goes across the dorsum of my foot and up the lateral aspect of the ankle), don't know if that has been helpful or not. I was pretty hopeful that this would heal. But yesterday, when I forgot to put the tape on (don't know whether this has anything to do with it or not), it started to hurt again. No excess use - actually, I got a lumbago a few days before this and could not go to the gym either - no further trauma. Now I feel a kind of a burning sensation coming and going, extending all the way up the plantar aspect of the big toe, independent of whether at rest or standing/walking. It hurts more to walk than before. The fibular sesamoid is still a bit sore when palpated, but moving the toe does not really hurt. I've been wearing hiking shoes with very stiff, cushioned soles the whole time, and I have now Birkis shoes for work, they are also very stiff and quite thick and I use them with my orthotics. I'm losing my patience with this. I asked an orthopedic surgeon at my work about my foot, about whether to get an MRI scan, but he said that it would make no difference, that sesamoids heal notoriously slowly/badly and that he thinks surgery is a very bad idea anyway, so no help there. I found your blog, and read everything I found about sesamoiditis, and started to do the contrast bathing as well. But a lot of my questions go unanswered. Sorry about the long story. I would like to treat this once and for all, properly, to get it healed. I'm just so tired of my foot feeling either painful or just not normal, and sometimes even I think amputation would be a great solution... Should I get a MRI scan done - what is the benefit? Is this pain relapse just a part of recovery? Can I ever cycle again - and if so, should I switch my cleat position to midfoot (road cycle shoes don't have much lee on this) or do other adjustments. Do you have any suggestions for me to promote healing? I'm desperate for help - and if I lived in the same continent, would definitely book an appointment. Yes, I made it through. You explain everything very well. And, I think you are doing well for what we know. You have to treat the worse case scenario without the benefit of a MRI and CT scan. X rays are notoriously poor for diagnosis of sesamoid injuries. The worse case scenario, and definitely my diagnosis of choice, a sesamoid stress fracture. I love MRIs as a baseline of image, so push for that, and if we can see the images, it may change some of my thoughts. So, what do we know about sesamoid injuries that may help? Here are my top 20 plus pointers when teaching about sesamoid fractures. Even with normal healing, they can take up to 2 years so patience is a virtue here (some fast and some slow, and all patients want the fast ones). Healing, and feeling better, is based on many factors that are unknown when the patient first presents. MRIs and CT Scans are common imaging techniques that can really elucidate the problem, and sometimes change the direction of the treatment. Followup MRIs, when needed to check healing, are often done between 5-6 months after the first baseline MRI. 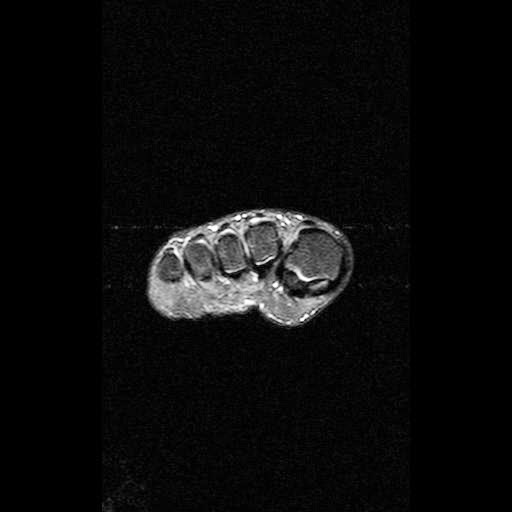 The MRI can show initially that you are not dealing at all with a sesamoid fracture, but something else, and prevent treating the wrong diagnosis (self pay MRIs of this area are $500 in the San Francisco Bay Area). Since we are dealing with bone, we must look at diet, Vit D3 levels, calcium/zinc/magnesium, and bone density. Treatment of sesamoid injuries flows through 3 phases that are normally overlapping--Immobilization, Restrengthening, and Return to Activity. When the patient is in the Immobilization phase, the treatment should be thinking about the Return to Activity Phase with visits dedicated to shoes, orthotics, strengthening, cardio. Often times treatment mistakes involve having the patient in the wrong phase (like return to activity when they should be in the Immobilization phase). 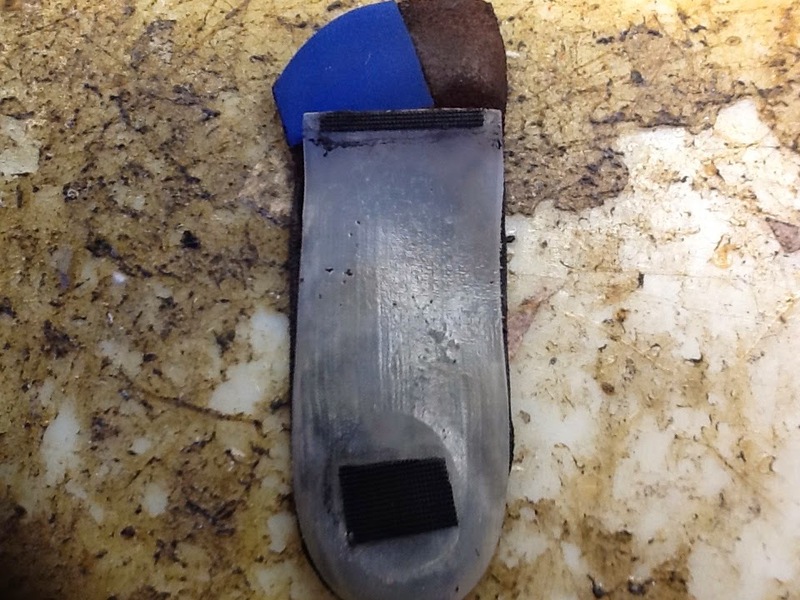 One of the crucial aspects of treatment, that can be hard to design, is protected weight bearing inserts and shoes. As treatment starts, the patient is placed in an environment (be it cast, shoes, orthotics, boot, etc) that maintains 0-2 pain level. The initial goal is too create this pain free environment for 3 months by whatever means it takes. Non weight bearing (crutches or RollaBouts) always increases swelling, so protected weight bearing is crucial. The best way for reduction of bone swelling is contrast bathing. Typically, icing twice daily and contrast bathing each evening is needed. If you are basing treatment on x-rays alone, you may be way off base. Do not let the joint freeze up (frozen toe syndrome) with routine pain free range of motion or mobilization techniques. Start strengthening the minute you get injured, or at least after you read this, even if it takes some modification for pain. See the foot strengthening exercises all over the blog. Keep the joint/foot flexible and strong. Patients with sesamoid injuries are prone for set backs so do not get discouraged. If you have a sesamoid fracture, one of the hardest fractures in the foot to heal, get a bone stimulator and begin using. Some insurance companies require 3 months, some not. Self pay for Exogen Bone Stimulator is around $500. Thank you so much for the previous answer. I hope you could be so kind to answer a few more questions. I went and got a MRI taken today and watched it through with the radiologist right away. It appears I have fractured the medial sesamoid (and I thought the pain was in the lateral one, oh well...). The fracture is a simple one, so the bone is broken in two (diagonally), and it appears that it might already be healed from one side (one third of length of the fracture). No other problems were found. So, you were right, and thank you for that, now I know what I'm facing. I'm attaching an image from the MRI here for you to see. The medial sesamoid is seen with a crack line running diagonal. So it has been 11 weeks now since I supposedly injured the sesamoid. I haven't known what I have had so I probably have been treating myself wrong and been treated and adviced wrong. The whole time I've been to work and wearing stiff, thick-soled hiking shoes with orthotics. I can walk for short distances, slower than usual though, without pain. But if I walk too much, or stand for too long, the pain comes back (of course I try to avoid this), but the pain isn't too bad, I haven't been needing painkillers. From your posts, I see that I should be in immobilization phase? Is what I'm doing enough, or should I get a walking cast or something? Dr Blake's comment: Yes get the boot, you are in a delicate time right now for healing. I would wear the removable boot with an EvenUp on the other side for the next 6 weeks as much as possible to insure the fragile fracture has a good chance of complete healing. You must side on conservative. Put your custom orthotics in the boot. I'm icing twice a day, and also contrast bathing every evening. Fortunately I can move my toe without pain, so I've been doing strenghtening exercises for the foot and the joint isn't stiffening. I eat a lot of dairy, and also take calcium, vitamin D and magnesium supplements. I go to the gym, to mainly do upper body exercises and core, and do aquajogging as cardio. Dr Blake's comment: Sounds great. The next 6 weeks will bring you a more healed sesamoid, a less inflamed joint, a stronger foot and maintain your cardio. What can I expect? Do you think I'm progressing right with the foot? When could I go to Return to activity-phase and try to start cycling, or walking longer distances, and how? The radiologist suggested that a CT scan shows bone healing much better, so later on I might be going to get one. I'm also going to enquire whether I could get a bone stimulator (Exogen). Dr Blake's comment: Definitely you want the 6 months of bone stimulator. I like the CT scan, but you could wait on that for now, since you are subjectively doing very well. Remind with the cycling the injury could have been produced by pushing down on the big toe joint too forcefully, so I would wait for at least another six months. You could do a stationary bike with the pedal in the arch now. Walking in stable shoes and orthotics, with a progression to a walk/run program, to progression to long distance running is a more controllable program from my distance with you. A physio there many look at your cycling mechanics and say you are fine to cycle, or recommend modifications to cleat/orthotic/clip, etc. Good luck. I thank my good friend CD for sending this along to me. Definitely sounds like a step forward for the healing of some fractures. I am sure happy to find your website. I am sure you hear that a lot. 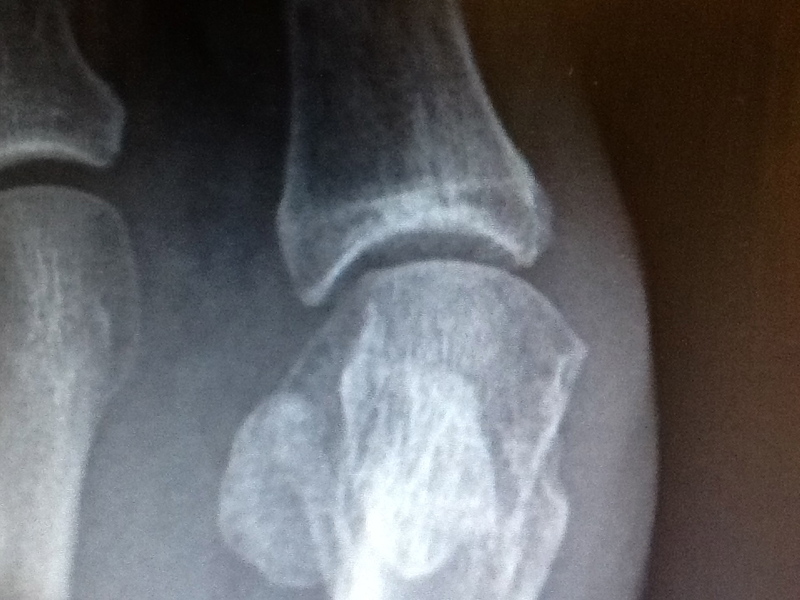 I have had a sesamoid injury since Oct 2012 (19 months). I went through wearing an aircast ankle brace for 2 months which was a waste, then physical therapy for 6 weeks, then a cortisone shot in July 13 which wore off by December. I am a very active person. I do aerobic and pole dance fitness for activities. I went to a foot and ankle specialist in Feb and had to wear a cam boot for a month. After it not showing improvement I went to the joint reconstruction center. Each doctor tells me how risky surgery is. He referred me to get a PRP injection. I had it done on the 14th and have been using a knee walker since then. At first I was told I would use the cam boot then was surprised by crutches. Knee walker is the best invention. I feel like I will never get over this. It is sending me into depression. I can't not be active. Have you had any experience with prp injections. Do you see hope for me? I just dont know what to do. Thank you so very much for your email and kind words. I read through your description and here are my questions for you to email me back with and I will attach to this post later. First, PRP is not a standard injection that helps joint problems, and disputed for tendon injuries (like achilles). However, it probably has a place in orthopedics and more and more studies need to be done. It may prove very helpful for you. Secondly, non weight bearing with a knee walker always increases pain and swelling in the foot. This is because the weight bearing is our natural compression pump forcing foot swelling back towards the heart with each step. You have to follow your surgeon's advice, but do not expect to feel better until you get back to protected weight bearing (the emphasis is on the word "protected"). Do you have imaging studies like xray and MRI to review? With the cam boot, is the sesamoid area being off weighted? What are you doing daily to work on swelling? With sesamoid injuries, you are talking bone injuries, so how is your Calcium/Vit D3 and bone density? 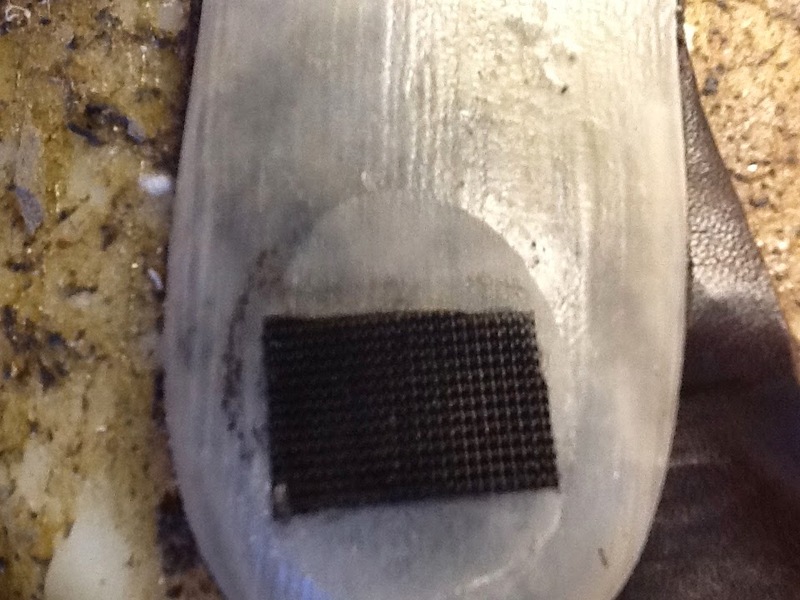 Do you have protection for the sesamoid as you begin weight bearing (orthotics, dancer's pads, etc)? Do you have an understand about going from non-weight bearing to weight bearing (knee walker to cam boot, or shoes and orthotics)? Are you taking the steps now (if needed) to get your shoes in order? Besides working on bone strength, are you daily strengthening your feet? There are so many foot, ankle, and core strengthening exercises to do so you do not decondition? Are you swimming and/or stationary bike for cardio-vascular? You can always put the pedal in the middle of your arch and not push off the wall with your feet, etc. Are you elevating your feet alot and using compression socks to fight the swelling in the tissues? Swelling is our biggest enemy. was having troubles downloading the files from our health system. I actually work at the hospital and was trying to get them myself. I would have to have the MRI sent to me though so I couldn't get it. Not sure how to use their application. Here are some of the Xrays and reports though. Dr Blake: Keep trying!!! With the cam boot, is the sesamoid area being off weighted?The cam boot does off load the sesamoid. I don't know why they wouldn't want me weight bearing honestly. The doctor that referred me for this shot said I would wear the cam boot then the doctor that performed this injection said no weight bearing. Dr Blake: With the new procedure, that doc has say, but make sure you understand how long you have to remain non weight bearing. What are you doing daily to work on swelling?I actually haven't had much swelling but I was keeping my foot elevated when i was having swelling. They said not to take ibuprofen because it slows healing with this injection. I mostly have been resting to reduce swelling. Dr Blake: Swelling sometimes can not be seen and is felt by joint stiffness only. Once you are through with the PRP part, try to ice pack 2 times daily and do one contrast bath session daily, even if you do not see the swelling. It can be in the bone, called boney edema, and that swelling can slow down healing. I have been taking Calcium 600mg and D3 2000IU daily. I have not had any bone density tests. I read about that month ago and wondered why they never mentioned that. A pharmacist at work recommended it. I work in the pharmacy. Dr Blake: It would be great to get a bone density screen and Vit D3 blood level. I do have orthotics they prescribed when i was doing the therapy. I also used the dancer pads for a while to try to reduce pain. I didn't feel like they were helping enough so I probably gave up too soon. Dr Blake: This is a crucial time before you begin weight bearing fully to get the orthotic and attached dancer's pads in place. I do now after reading a lot on your website. Which makes total sense because its weak after not being weight bearing. Are you taking the steps now (if needed) to get your shoes in order?Not sure what steps I should be taking honestly. But, thinking i should re order dancer pads. Dr Blake: There are so many shoes that can help with this problem. Find a shoe store that has a good selection of stable shoes, shoes with rocker bottom can help, hiking boots, but they all must fit your orthotic device. I am trying to do some exercises you mentioned and I did in therapy now. Are you elevating your feet a lot and using compression socks to fight the swelling in the tissues? Swelling is our biggest enemy.See I am confused because with this prp injection they told me some swelling is good and it increases healing. They said it is our bodies natural way of healing. I do not feel the doctors at the Sports Complex are informing me enough for sure. None have asked things like you have. I almost feel like this is a losing battle and it will be a fight for the rest of my life. I feel i will not be able to dance anymore and really be active aerobically and I am only 35. Very Sad Dr Blake: You are right, PRP want some swelling for a short period, but the rest of the time we are fighting against that swelling. So, most of my anti-swelling advice is not for the 2-4 weeks around the PRP injection (the length of time that they told you not to use Anti-Inflammatory Meds). See if you can get me the MRI scan to review so I have a better feel. If, in the end, you have to have the sesamoid removed, you will do fine. But, it would be a hard call without seeing repeated MRIs and a CT scan. So, hang in there and take it day by day. I love treatments like these. Definitely use white vinegar if near the nails, since the apple cider vinegar can stain the nails. I already recommend white vinegar soaks or patches for toenail fungus. Orthotic Challenges: Coming to San Francisco? Hi - I am a huge fan and I follow your blog consistently. You continue to inform me and I thank you for taking time to educate us all. I live in Los Angeles, and I am thinking of making an appointment for you to make me some orthotics. I haven't had much luck with that down here. My problem is I have high arches, pronate, bad FAT PAD ATROPHY, and a case of plantar fasciitis.Oh, and did I mention a neuroma...? I also have very flexible feet and ankles. (hyper-mobile) I guess I am a worse case scenario for fitting orthotics? I have had several unsuccessful attempts over the last couple of years and my life does include coping with pretty bad pain on a daily basis. I guess I need orthotics with 'structure' yet softness and that seems to be the major hurdle. Would you be willing to give it a whirl? If so - - how do I proceed? I have had broken sesamoid bones in both feet for over a year! I've had a bone stimulator since December (4 months) and the pain comes and goes. I am trying not to have surgery but I have just had it at this point. I've had heel spurs and they treat me as if I am avn (avascular necrosis). I have been to 2 different doctors at this point and I just don't know what to do. I have tried to email back on your blog, but it is not working? I have now been to a 3rd doctor and he had me just take a CAT scan. My question is if I do have AVN, how will the bone stimulator still help me? Also I do have orthotics, but I have flat shoes from the podiatrist, what do you feel is better to wear? This all started by running 3-5 miles a day on the concrete. I ran literally almost every single day. I have very arched feet I guess, or so I have been told. I at this point feel my feet will never be the same. I appreciate your time very much, thank you. Here is my original video that sparked this comment. Here is one version of KT for arch pain. I sure hope it helps some of you guys. Tuesday's Patient Question of the Week: How to deal with Bunion Surgery Complications? I imagine you must get many of these emails. I stumbled upon your blog by reference of an enthusiastic patient of yours. Coincidentally, I live in the Bay Area. 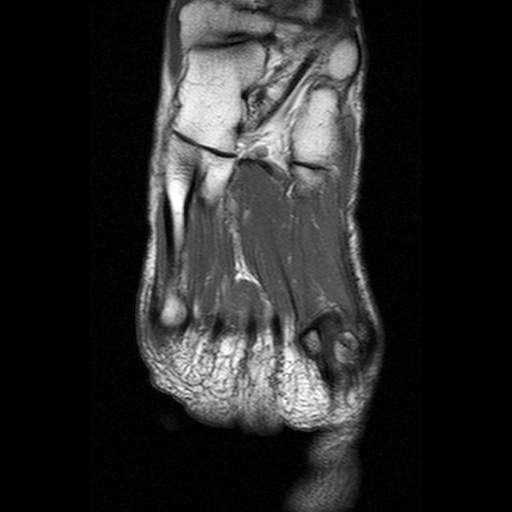 Image of a bunion patient whose previous surgery had failed and the toe collapses towards the 2nd toe and off the big toe joint causing arthritic pain. After no luck with orthotics for painful bunions, in March 2002, I had my left foot worked on ( a bunionectomy). In June, 2002, I had my right foot bunionectomy-same doctor- an orthopedic surgeon. One outcome of that surgery is that the big toe bone has become shortened and my first metatarsal head is misaligned with the second and third. The bunions came back five years later; in August 2007 and December 2007, I had my left then right foot done respectively, by different surgeons. The surgery, shaving rather than cutting the bones, was much easier to recover from. Dr Blake's comment: Bunion surgeries vary immensely, and typically the longer the post op course, and the more bone work done, the longer the bunion correction will hold. 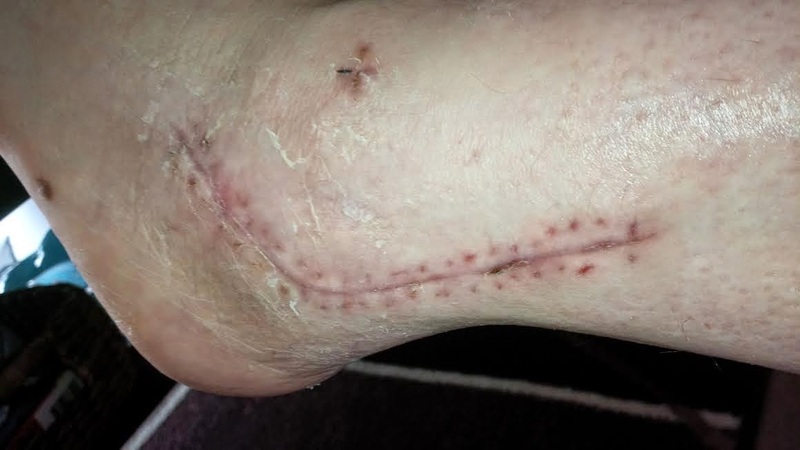 There are also so many factors like severity of pronation, width of foot, general ligamentous looseness, and bone structure to name a few that can help determine the longevity of these surgeries. Surgeons have their preference, but in discussing with them, see if you can determine why they choose a particular type for you. Definitely get a second opinion and do not mention what the first surgeon plans on doing. See if they are on the same page or miles apart. In 2011, I developed bone spurs and was diagnosed with hallus ridigus which amounted to a 40% loss of mobility in my foot due to arthritis so I had surgery on the bone spurs (by my big toe). My left foot was worked on in August 2011. Dr Blake's comment: Surgery on any joint weakens the joint leading to gradual onset of potential problems in the future. This is typically very slow process, so it is unusual that arthritis set in after your second surgery. I am assuming that there was no mention of arthritis in the first and second surgeries. Something does not make sense, but you have what you have right now. Bone spur surgery on the big toe joint, AKA joint cleanout, AKA joint arthroplasty, AKA cheilectomy is definitely a very skilled procedure and needs some luck in going to work. I highly recommend this surgery over implant or fusion for Hallux Limitus since it works well normally (at least for many years). The doctor also removed screws in my feet from the previous surgery and he shaved a “bunionette” off the right side of my left foot, so in August I had two parts of my foot worked on. I was healing okay until I tripped about six weeks later and broke my middle toe on that same foot. This set me back immensely. My second bone spur surgery was in March, 2012 on my right foot.I was healing well, in general, and was running by fall of 2012 just a little. I did lots of yoga until I injured my left foot in January 2013. I took time off and by March, got a cortisone shot in my left foot. I had had one in 2012 at some point for swelling. I began physical therapy in March/April of 2013 and had been seeing my PT currently once every two weeks. I'm now upping it to once a week. Current problems since June: Metatarsalgia, sesamoiditis, arthritis, poor flexion in the ankle due to tight calves (and on my feet all day due to teaching), thin padding on the bottom of the feet and stressed metatarsal heads, minor pain from Taylor's bunion on right foot. Left foot, overall, is much worse than right. I tried a chiropractor this summer with no positive outcome. I sometimes get acupuncture and massage. I'm also wearing a metatarsal pad, mainly on my left foot (Jill's Gels) and am now trying toe stretchers. I have rocker-bottom shoes and have been unsuccessful with new orthotics. Another orthopod is recommending surgery to align the metatarsal heads. I have a second opinion upcoming with another orthopod. I am also considering a visit to the Mayo Foot/Ankle Clinic in Arizona. I will do anything to get my mobility back. If you have any advice as to who to see or how to proceed, I would be so grateful. I am very lost on this journey. Best Regards and thank you for what you do. 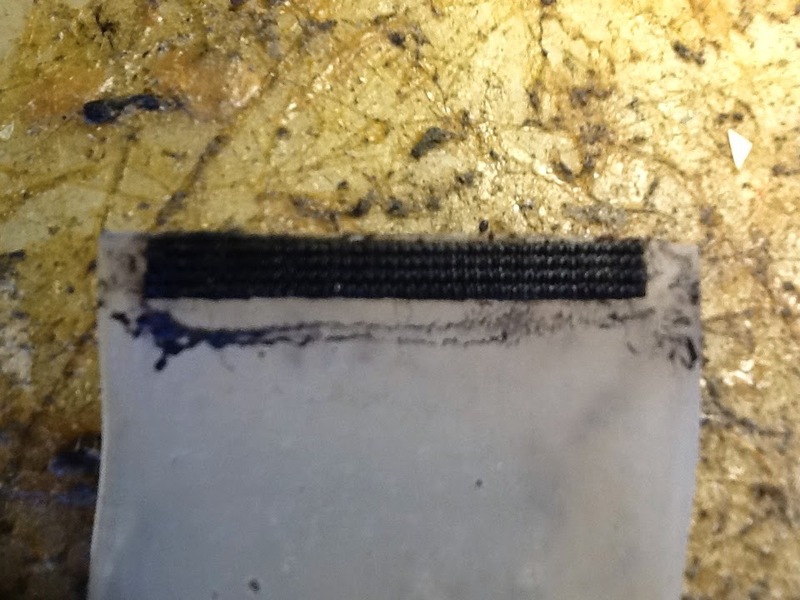 The 3 images below demonstrate the use of velcro (rough side on orthotic devices, soft side on the shoe) to prevent the orthotic device from slipping around in the shoe. For some shoes, only the heel velcro is crucial. 2. Podiatry Video Quiz #3: What types of Pain should be Avoided? 3. Podiatry Video Quiz #2: Why is the sun important for bone healing? 1. Bunion Pain: Or Is It?